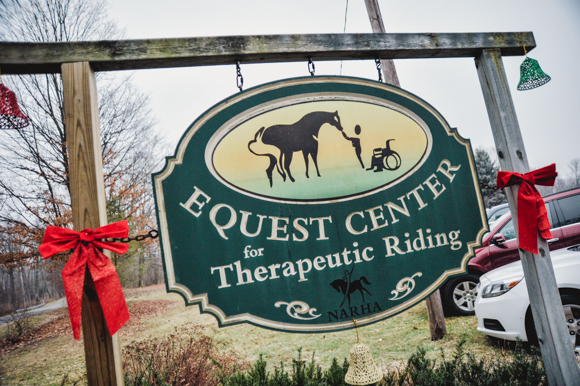 Kathy Ryan is executive director of The Equest Center, the only year-round facility in the area that offers equine therapy for individuals with disabilities. 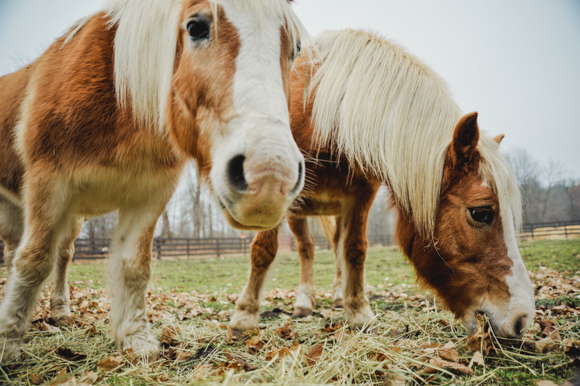 UIX Project Editor Matthew Russell finds out how some special animals help individuals with special needs at this innovative riding center. Kathy Ryan has personal reasons for loving her job. 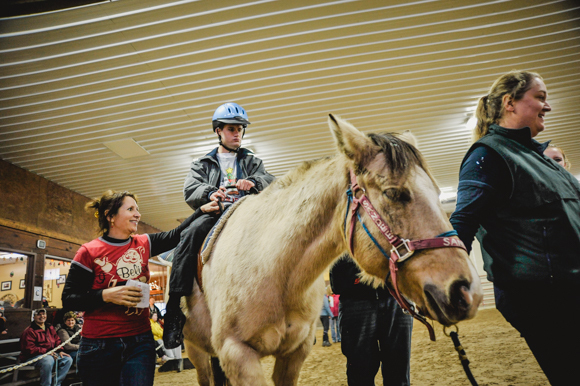 Her son, diagnosed with autism in 1996, made tremendous progress through his disability with the help of the galloping "instructors" at the Equest Center for Therapeutic Riding, where Ryan is currently executive director. Ryan not only first discovered the Equest Center in 1996, she joined its ranks as a volunteer as well. Previous to that, she was a schoolteacher working on her master’s degree in learning disabled and emotionally impaired education. Today, the Equest Center is the only year-round facility in the area, which is a critical piece for many individuals with disabilities. This helps to prevent regression and foster greater physical, mental, emotional and social improvement and benefits experienced due to a consistent riding therapy schedule throughout the year. It was established as a State of Michigan non-profit corporation in June 1990 and received its IRS 501(c)3 designation two months later. Then it took up just seven acres with a handful of horses and 16 riders. 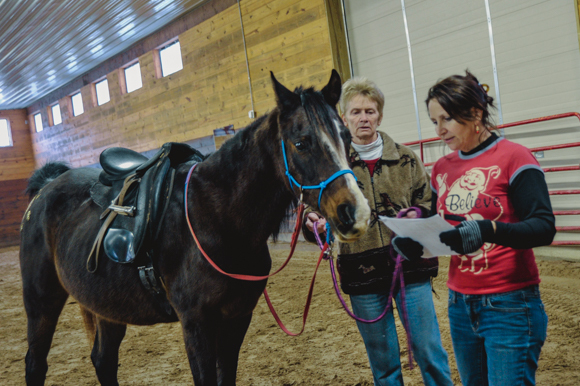 The Equest Center for Therapeutic Riding has offered year-round programming since it opened. The center serves special needs individuals from Allegan, Ingham, Ionia, Kalamazoo, Kent, Mecosta, Montcalm, and Ottawa counties. Equest maintains a staff of 13, with two full-time workers and 11 part-time--a physical therapist, music therapist, eight Professional Association of Therapeutic Horsemanship International certified instructors, a certified elementary ed teacher K-8, a certified secondary ed teacher, and Ryan--as well as a substantial pool of volunteers, who logged 46,800 hours in 2013. Programming at the center is thorough and diverse. There are different groups out and classes every day as well as classes every night for people brought in by parents or caregivers. The activities offered include the Therapeutic Riding Program; Horsemanship Day Camp; Horses for Heroes (for U.S. Veterans); Senior Saturdays - Connecting with the Elderly; Vocational (job skills training); Horses as Healers (partnership with Gilda’s Club); Music Therapy on Horseback; Equine Facilitated Learning; Sensory Riding Trail; and more. The horses are outfitted with a saddle pad and a surcingle, which looks like a belt around the front of the horse with two handles. This system allows the rider to feel more of the warmth and movement of the horse, while allowing for varied riding positions. Sometimes the riders will be sideways, sometimes backwards, sometimes up on their knees, and sometimes even standing up. Ryan says it’s no coincidence that horses are such good therapy animals. The way a horse’s pelvic bone move during a walk directly mimics the way a human’s pelvic bone moves while walking. “For kids that are just learning to walk, or relearning to walk, maybe because of a brain injury, stroke, or disability, being able to be on that horse and feel that movement helps to train the brain on how the body is supposed to move before the limbs are actually able to do so,” she says. Mobility issues are addressed in some of the programs offered, but many clients are able to walk and ride just fine. Ryan’s son is an example of how sensory therapy can also be applied. Bringing the rider to a point where they must concentrate on balance and being present in the body is helpful in introducing therapy for some clients. Children that are autistic, for example, cannot zone out while riding. They have to stay present, stay on the horse and keep moving. 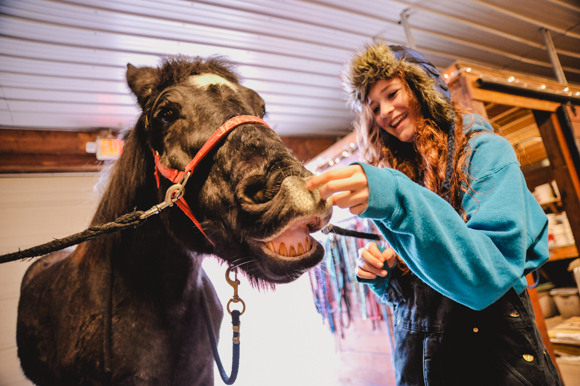 At Equest, equine therapy can take on many different forms. Music therapy on horseback, for example, is one of Ryan’s favorites to talk about—a licensed music therapist, a nun, plays guitar and rides a horse in the arena with clients. “Some of the kids cannot process speech, and speech and music are processed in two different parts of the brain. They may not understand something when you say it to them, but when you sing it to them they do,” Ryan says. Funding for the program is garnered through grant writing, donations, fundraisers, and a $20 surcharge for every class but, Ryan says, the center does quite a lot to make sure nothing is cost prohibitive to those seeking help. Equest will be celebrating its 25th anniversary in April 2015. While the love of animals and children has been a common thread between staff and volunteers at Equest, working in some of the most beautiful country West Michigan has to offer with openhearted individuals doesn’t hurt either. For more information about the Equest Center for Therapeutic Riding, visit http://equestcenter.org/.